(Irish Examiner) – Former White House press spokesperson Sean Spicer has insisted Donald Trump will remain as US president for six more years, saying the US must come back together and stop undermining its systems of government. 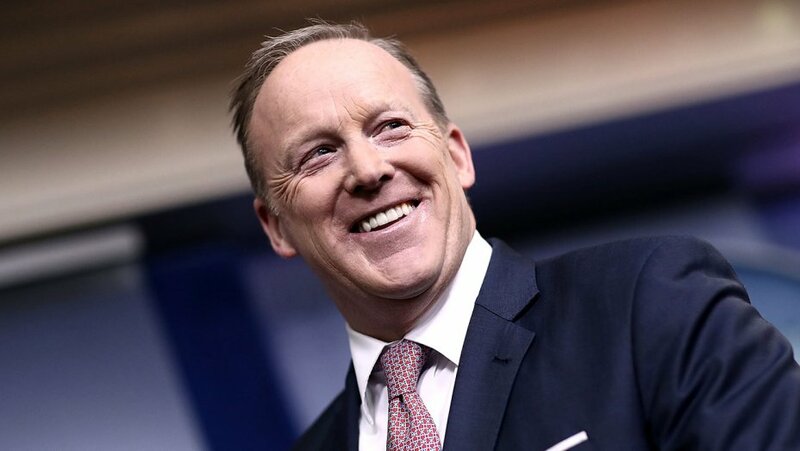 Mr Spicer made the prediction as he denied Russian collusion in the 2016 US presidential election, defended the removal of immigrant children from their parents and questioned the value of investigations into Mr Trump. Speaking at an Institute of International and European Affairs event in Dublin where he also said far right organiser Steve Bannon was a “good steward” for Mr Trump’s message, Mr Spicer said despite “style” concerns most Americans back the US president’s “results”. And, while acknowledging the significant opposition to his tenure both in the US and abroad, he predicted Mr Trump will win the 2020 presidential election and remain in the White House until 2024. “Six years,” Mr Spicer said bluntly when asked how long Mr Trump will remain in power, adding repeated polls are showing American voters are continuing to support the US president despite a series of scandals surrounding his tenure. “It’s not just what I’m saying, I’m telling you what the polls said. It’s not my opinion, this is literally what it is. “That is what every consistent poll shows. All show consistently the same thing. It’s not my interpretation of anything as much as it is what the polls show,” he said. During a detailed question and answer session, Mr Spicer also controversially rejected ongoing evidence of Russian collusion in the 2016 US election that brought Mr Trump to power. Downplaying the attacks as “meddling”, he said 18 months into investigations which have highlighted a series of damning issues surrounding Mr Trump’s officials and their interactions with Russia there has been no “evidence” of any wrongdoing. “There’s meddling and there’s collusion. On meddling, there’s no doubt, hands down, no question that Russia tried to meddle in the US election. “But that’s morphed into collusion, and I have not seen anything to believe there was any kind of collusion,” he said, before dismissing ongoing inquiries by saying “the Democrats would spend all of their time just investigating as opposed to legislating” if they could. Mr Spicer acknowledging there has been difficulties in how the crackdown on illegal immigrants coming to the US has been handled in light of shocking images of children being held in cages – hundreds of whom have yet to be returned to their parents. However, despite saying the US must remain “a beacon of hope and freedom”, he backed the controversial immigration policies. “Obviously those [the child images] are very difficult to look at, but again I think we’ve got to do what we can to make sure children are protected, that they’re not trafficked, that they’re not coming in to be abused in any way,” he said.